WASHINGTON — NASA is targeting approximately 4:33 p.m. EDT on Nov. 1 for the launch of space shuttle Discovery’s STS-133 mission and 4:19 p.m. EST on Feb. 26, 2011, for the liftoff of shuttle Endeavour’s STS-134 flight from the Kennedy Space Center in Florida. The target dates were adjusted because critical payload hardware for STS-133 will not be ready in time to support the previously planned Sept. 16 launch. 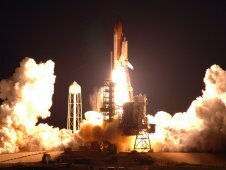 With STS-133 moving to November, STS-134 cannot fly as planned, so the next available launch window is in February 2011. 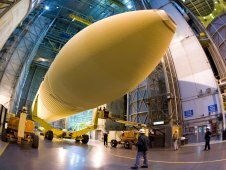 NASA will schedule the official launch date for each mission following the agency’s Flight Readiness Reviews, which typically occur about two weeks prior to launches. All target launch dates are subject to change.